Leaked documents reported this week suggest the Trump Administration would like to cut foreign aid by more than 30 percent and possibly merge the U.S. Agency for International Development with the State Department. This proposal comes despite the fact that we are facing the worst humanitarian crisis since World War II—there are more people fleeing war and persecution than ever in history—and famine conditions are threatening parts of the Middle East and Africa. I’ve recently heard some critics say that foreign aid does not work. This could not be farther from the truth. Dollar-for-dollar, it is one of the most effective uses of our taxes. One penny of every dollar in the total U.S. budget goes to helping families in other countries—a small investment that saves lives and helps millions of people every year. Strong U.S. leadership during the last 25 years has helped cut extreme poverty in half and led to half as many children dying around the world from preventable illnesses like malaria, diarrhea and pneumonia. We need to build on this progress rather than allow it to lapse. America currently spends nearly 50 percent less on foreign assistance, as a percentage of gross domestic product, than during the Reagan administration. Further reducing this budget would hinder the U.S. government’s ability to help respond to disasters – natural and man-made – including those that know no borders, like the recent Ebola and Zika outbreaks. Being prepared to respond quickly to the next disease is just as critical for U.S. citizens as it is for those at the epicenter of the outbreak. Countless times, I’ve seen firsthand how U.S. foreign assistance works and saves lives. I recently visited Jordan, a country that is committed to welcoming families fleeing violence and persecution in neighboring countries. More than 650,000 Syrian refugees, half of them under the age of 18, are now in Jordan, and the U.S. provides significant foreign aid for refugee programs in the country. That support feeds young refugee children, offers children the chance to get back into school after years of being away from home and provides vocational training for Syrian youth to give them hope for a productive future. This U.S. funding is essential if we are to avoid a lost generation of young people who can eventually help put their country on a better path. In addition, today nearly 20 million people in Somalia, Nigeria, Yemen, and South Sudan face the threat of starvation, and famine has already been declared in South Sudan. Save the Children is on the ground working with partners, including USAID, to provide lifesaving water, food and treatment to these children and families whose lives depend on our help. U.S. foreign aid is critical for preventing and addressing famine, yet proposed budget cuts would eliminate funding for the Famine Early Warning System Network (FEWS NET) that helps us prevent and respond faster and more efficiently to famine conditions around the globe. Preparing for drought before its worst effects take hold is on average three times more cost-effective than emergency response, as illustrated by studies in Ethiopia and Kenya. Pair this with the World Bank study that calculated disaster risk reduction saves $4-7 for every $1 invested, and it’s clear that our foreign aid investments are not only the right thing to do from a humanitarian perspective but also from a fiscal perspective. To put it simply: an ounce of prevention is worth a pound of cure. The international affairs budget is a triple win: it helps U.S. economic and national interests, it helps people prosper, and it saves lives. These proposed budget cuts and the folding of USAID into the State Department would deeply hurt America and our neighbors. We all need to do our part by telling our members of Congress that this funding is critical to our wellbeing. For the past two weeks, Americans have watched the Republican and Democratic National Conventions with excitement and anticipation as party leaders presented starkly different visions of what the country’s next four years could look like. The parties also adopted their official platforms, laying out their policy positions – both domestic and foreign. Save the Children has been engaged at the gatherings in both Cleveland and Philadelphia to advocate for policies in the United States and abroad that protect children and help them survive and thrive. As a child-centered development organization active in 120 countries, we are particularly interested in the two parties’ positions on international humanitarian and development assistance. But there are differences between the two platforms. While both focus on making aid more effective, the Republican position on international assistance emphasizes encouraging increased private sector involvement to drive economic growth, promote country ownership, and sustainably combat poverty. For its part, the Democratic Platform emphasizes further incorporating local organizations, marginalized populations, and women in development to promote country ownership. But there is more work to be done. 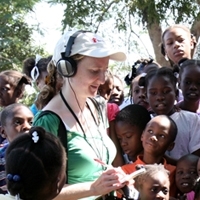 Save the Children continues to advocate to sustain efforts to help the world’s most vulnerable children, both in the United States and abroad. 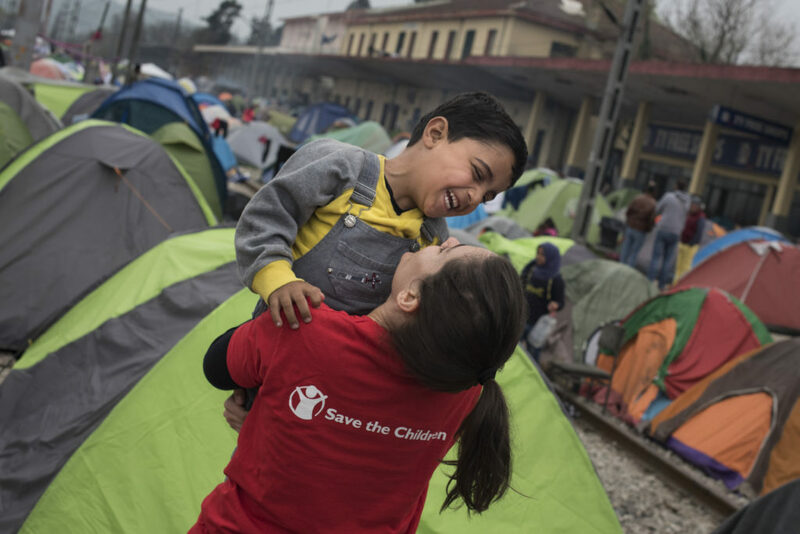 A key part of this effort is Save the Children’s Every Last Child campaign launched this year to reach children marginalized due to their gender, disability, geographic isolation, ethnicity, or their status as refugees or immigrants. The winner of the election will have a profound impact on shaping how America engages with the world. Save the Children believes that with an inclusive approach to international development assistance and a continued investment in responding to humanitarian crises, we could be generation that ends extreme poverty and preventable child and maternal deaths. The opportunity is there to be seized. In order to reach the Every Last Child campaign’s goal of inclusion, more needs to be done by both sides of the aisle – and recent history proves it’s possible. Regardless of who sits in the White House, Save the Children will be knocking on their door to ensure that every last child, no matter where they live, has the chance to survive and thrive. This post was written by Lindsey Mattila and Sarah Hogoboom. 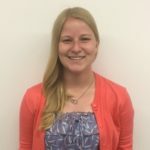 Lindsey is a Global Health and Food Security Policy Intern working with the Public Policy and Advocacy Department this summer. 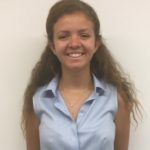 She is from Portland, Oregon and will be a senior this fall at Claremont McKenna College where she is studying Government. Sarah Hogoboom is the Summer Global Development and Advocacy Intern with our Public Policy and Advocacy Department. A rising senior at Hamilton College, Sarah studies World Politics and works at the Arthur Levitt Public Affairs Center on campus.